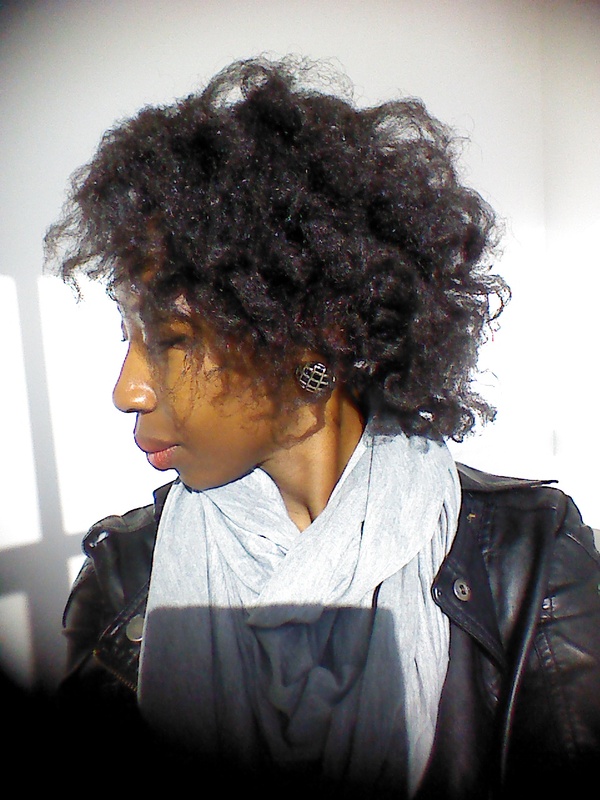 Fro care, Heat and hair, Me and my fro! I recently developed an itch for straight hair and decided to scratch that itch this past weekend. I love my kink but I had gotten curious to see how much progress my hair had made since the last time I straightened it with heat, about 2 years ago. I decided to treat myself to a wash, blow dry and flat iron at Lady Vanessa which I went to last year for a treatment and trim. I had made an appointment but, as is usually the case with salons, my hairstylist Skizo had been swamped by some walk-ins and my appointment got pushed back a little. While Skizo battled with a weave on another client, I got sent to the wash station where I was given a relaxing shampoo and condition. I love the wash part because it comes with a scalp massage, simply heavenly! The detangling section can be a little rough but the wash ladies always try to be as gentle as possible. The blow dry was probably the worst part for me, but I soldiered on, occasionally insisting he eases up on the pulling a little. 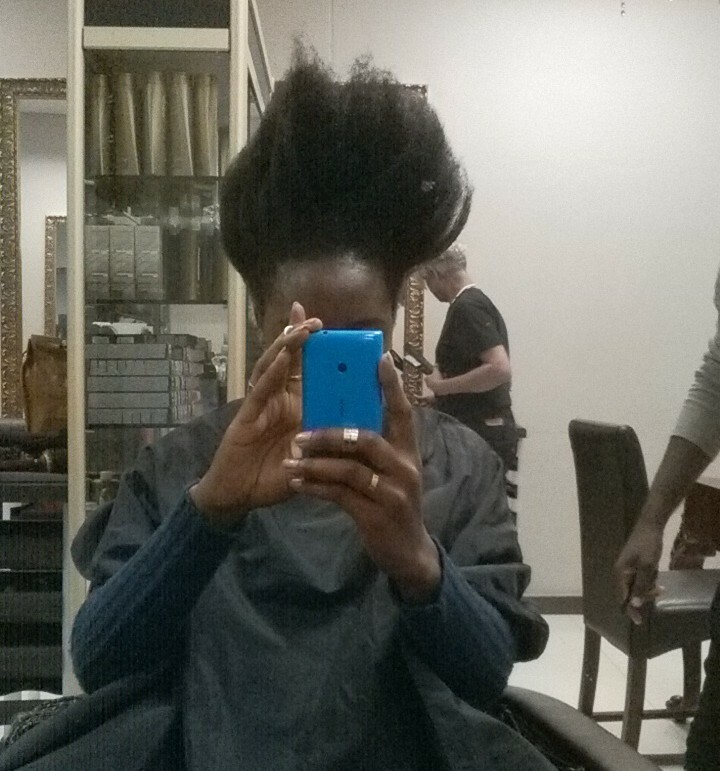 He did not use too much heat when flat ironing which made me happy. 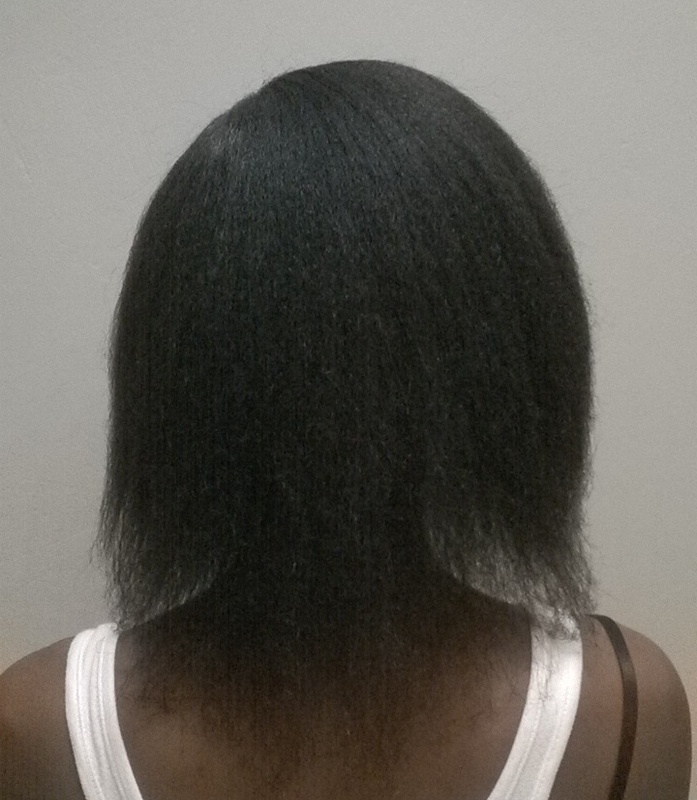 My hair was not bone straight when he was done so there was still some fullness in it. I was happy to see the growth progress and even happier to discover my ends were perfectly fine, no trimming needed! My hair is of course growing in levels and as of now I have no interest in leveling it out. Before…barely touching my shoulder when it’s bone straight. After…not fully straight but it’s comfortably past neck length. After the first 5 minutes of excitement passed, I began missing my kink and vowed to drench it in water that same night. 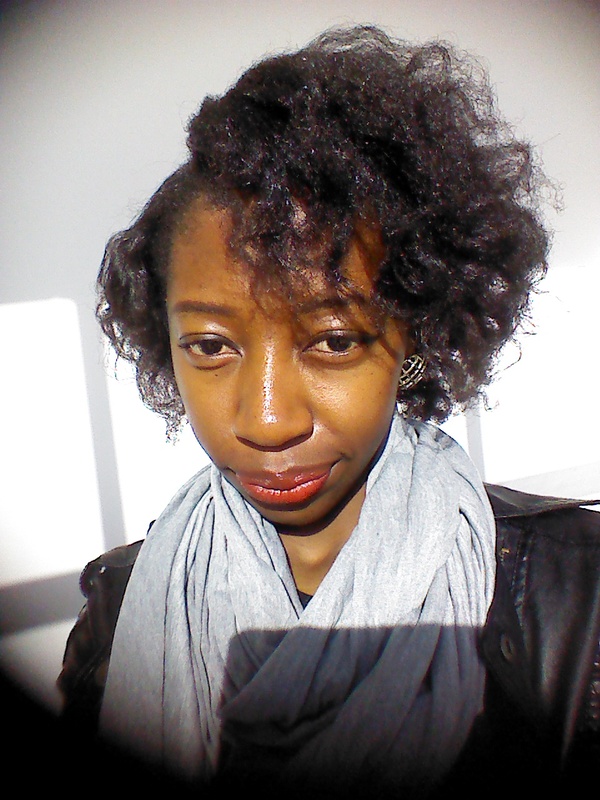 However I wanted to try a twist out first and ended up wearing my hair like that for the following 2 days. Every night before going to bed, I spray my home made spray sparingly, then liberally apply my shea butter mix and twist. 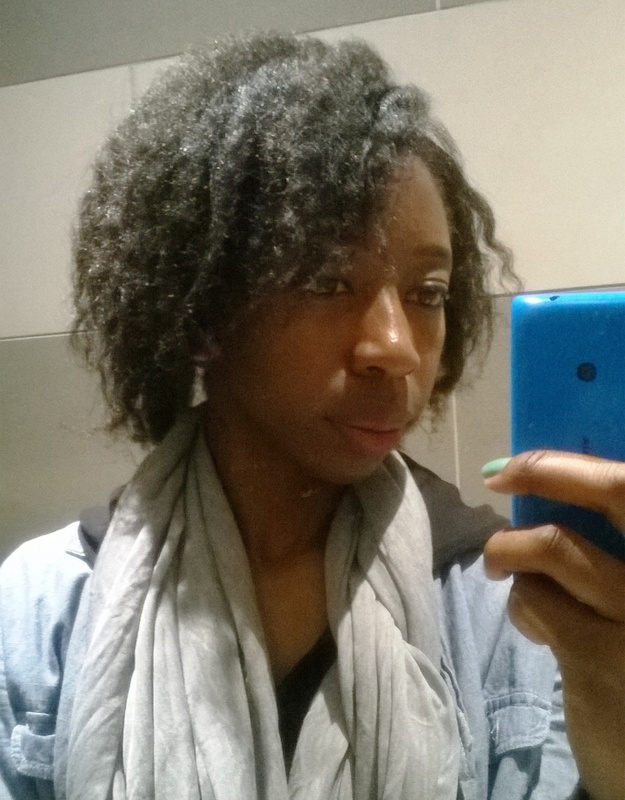 To make the curls fuller I then wrapped my twists around bendy rollers and I must say I am loving my hair currently! In my relaxed days, my hair never got this long nor looked this good when I styled it because it was so thin. 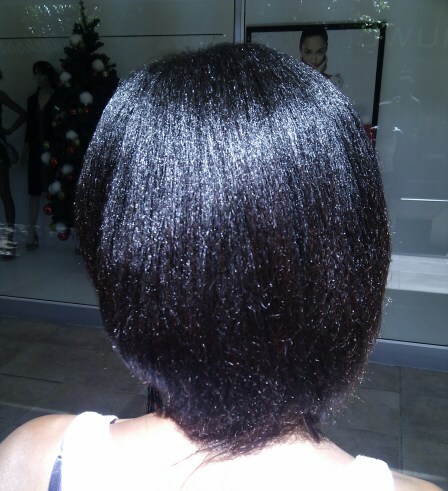 After seeing these results I will never return to relaxer. 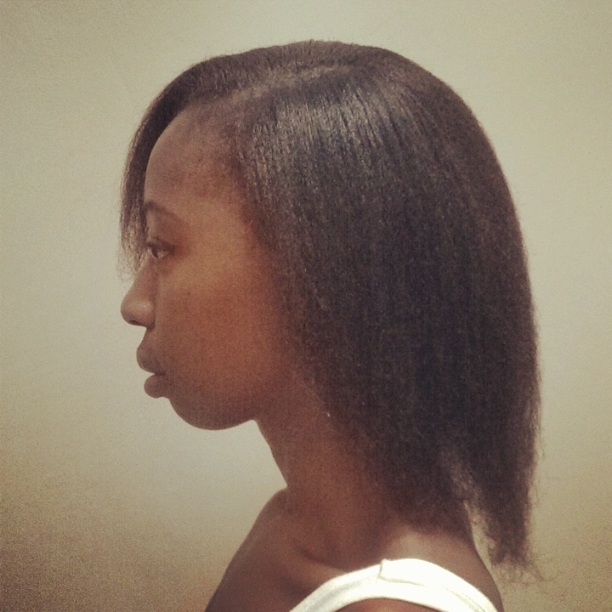 I prefer my hair to be fuller and being natural creates a better illusion of thickness for me. However, one can get similar results if they texlaxed rather than relaxed bone straight. I have received threats of being disowned should I dare to make this look permanent, but have no fear, the kink will be back soon! Lol! My friends are funny. Looks awesome. My hair is very similar to yours. You give me hope.